To facilitate student learning, several useful pedagogical features are employed throughout the book. The reader follows the stories of two fictional characters – Lavita, a cultural coordinator in city government, and Leo, a program manager at a nonprofit – in their intercultural communication challenges in public and nonprofit sectors. Mini-case stories called ‘cultural moments’ are incorporated to illustrate real-world intercultural communication examples and to invite application of the tools and concepts introduced in the text. Each chapter includes a set of discussion questions designed to build on the intercultural communication challenges of Lavita and Leo and the ‘cultural moments’ as well as activities that can be completed in class or as homework assignments. 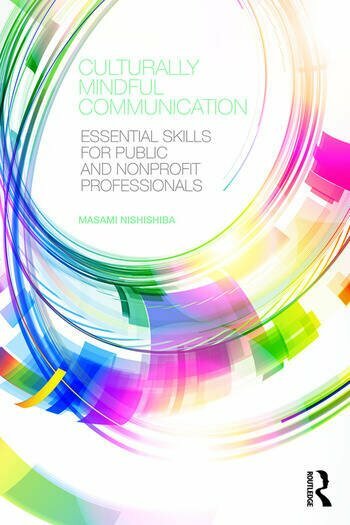 Designed to offer guidance to both current and would-be public servants, Culturally Mindful Communication will be required reading for Public Administration and Public Affairs courses that address diversity and cultural competence, as well as for practitioners looking to develop their intercultural leadership and communication skills. Chapter One: Introduction: Why Do Public and Nonprofit Professionals Need to Be Culturally Mindful Communicators? Masami Nishishiba is Chair and Associate Professor in the Department of Public Administration, and Associate Director of the Center for Public Service at the Mark O. Hatfield School of Government, Portland State University, USA.